Special-interest money is destroying our democratic process. But now that the Citizens United decision has thrown out campaign spending limits as abridgments of free speech, Americans want to know what they can do about it. Derek Cressman gives us the tools, both intellectual and tactical, to fight back. There's nothing inherently unconstitutional in limiting the amount of speech, Cressman insists. We do it all the time—for example, cities control when and where demonstrations can take place or how long people can speak at council meetings. Moreover, he argues that while you choose to patronize Fox News, MSNBC, the New York Times, or the Wall Street Journal, political advertising is forced upon you. It's not really free speech at all—it's paid speech. It's not at all what the Founders had in mind when they wrote the First Amendment. 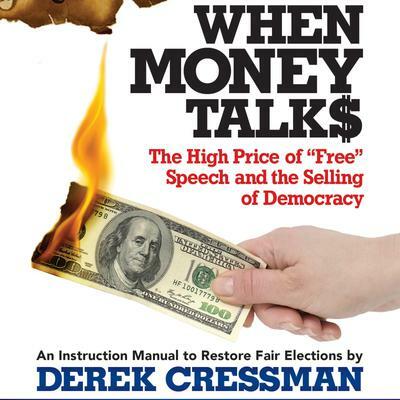 Cressman examines how courts have foiled attempts to limit campaign spending, details what a constitutional amendment limiting paid speech should say, and reveals an overlooked political tool concerned citizens can use to help gain the amendment's passage. Seven times before in our history we have approved constitutional amendments to overturn wrongheaded rulings by the Supreme Court—there's no reason we can't do it again.